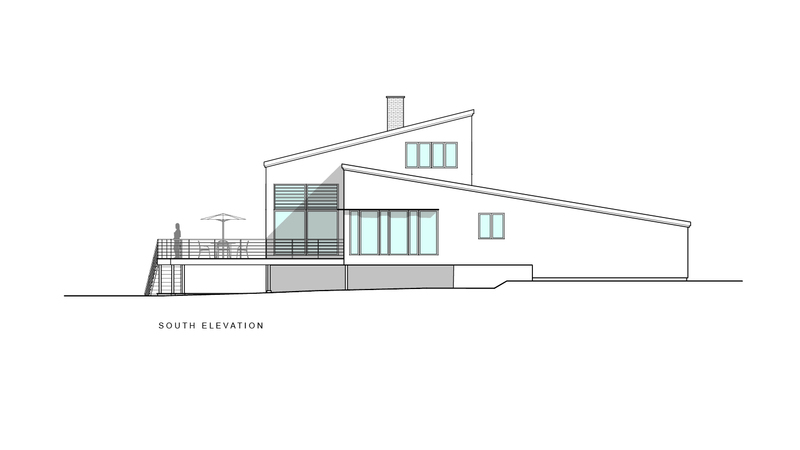 A standard lake front lot in an established community, the property slopes from east to west with panoramic views of Lake McConnell to the west. 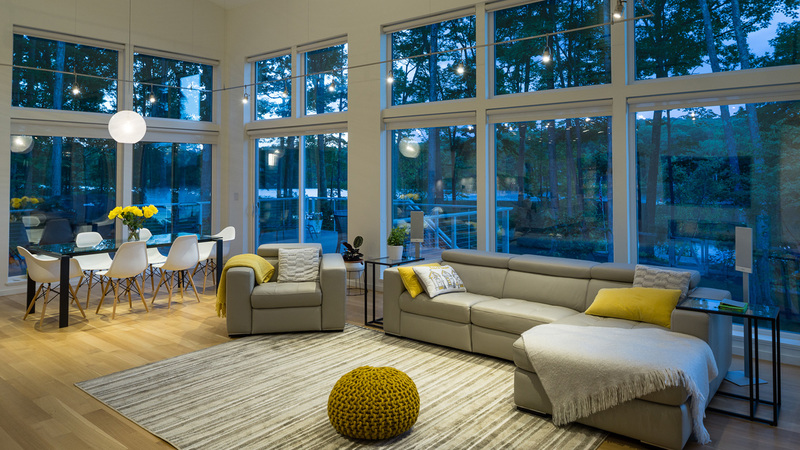 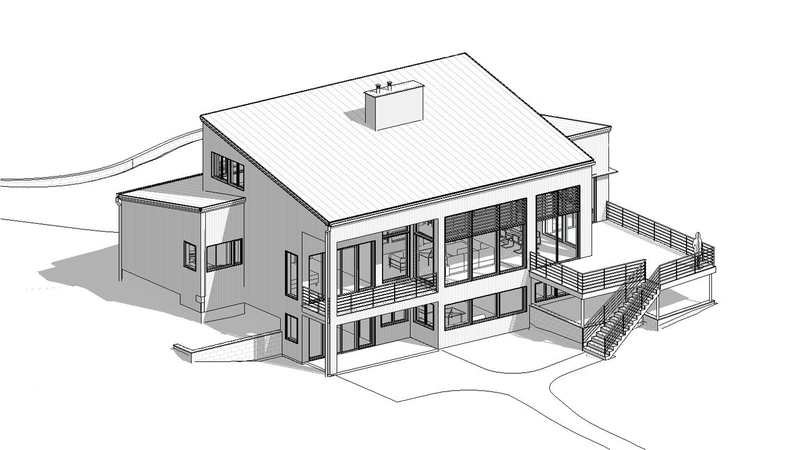 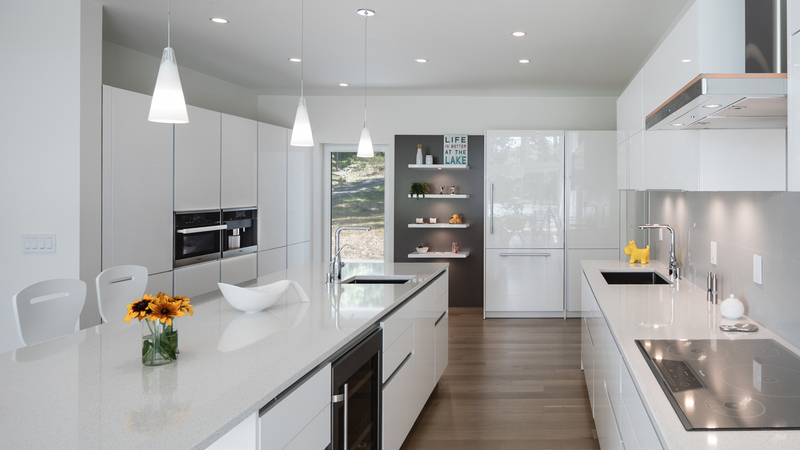 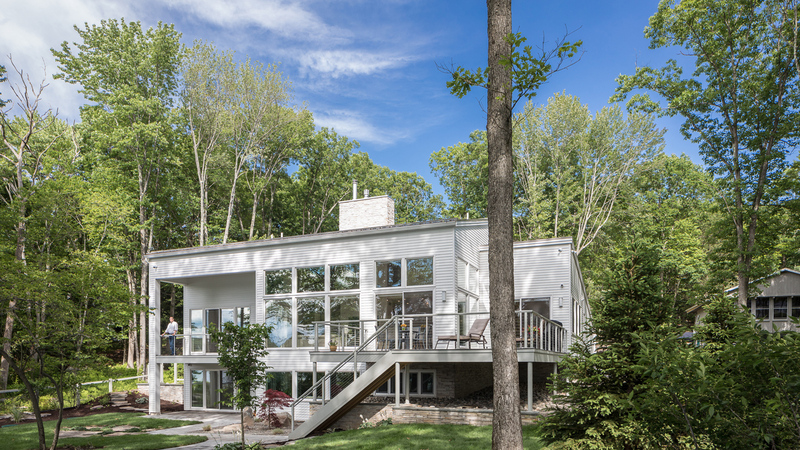 The owners wanted an open, spacious, and modern design to serve as a weekend retreat and future retirement home. 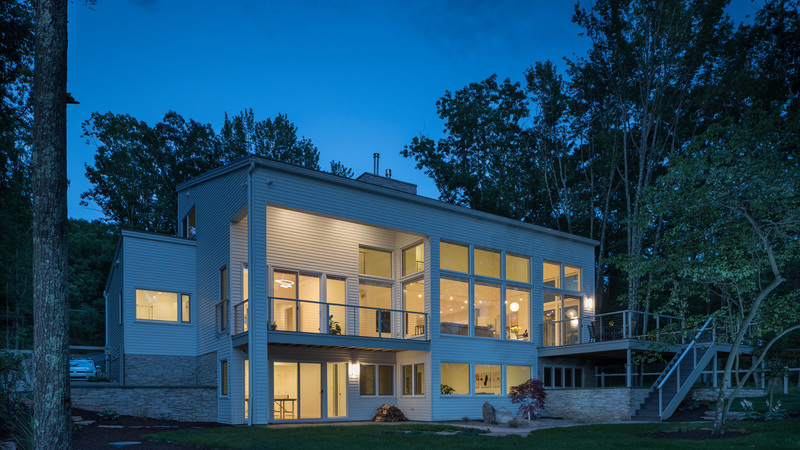 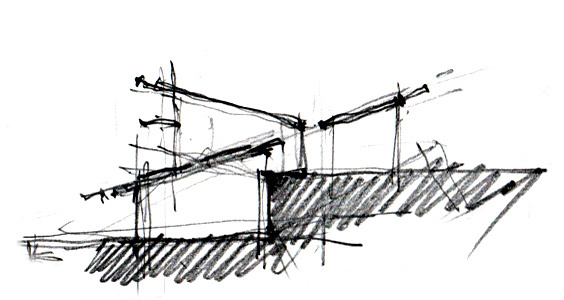 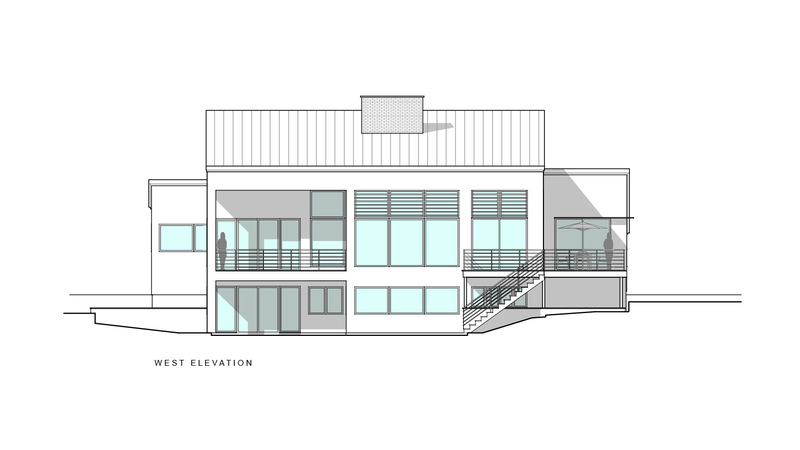 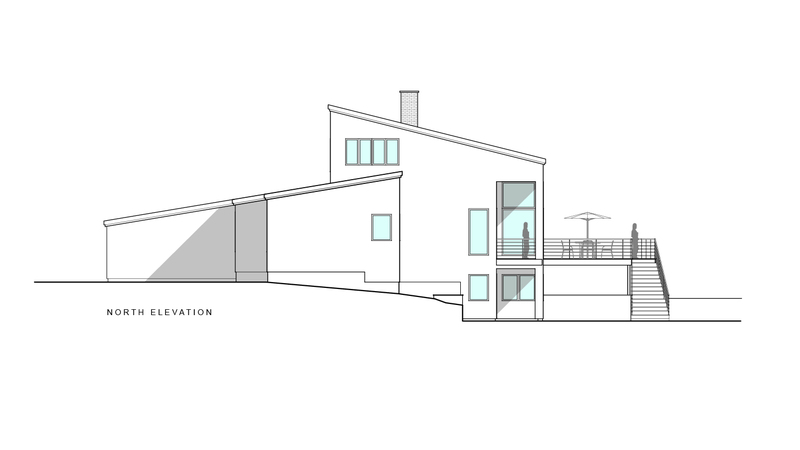 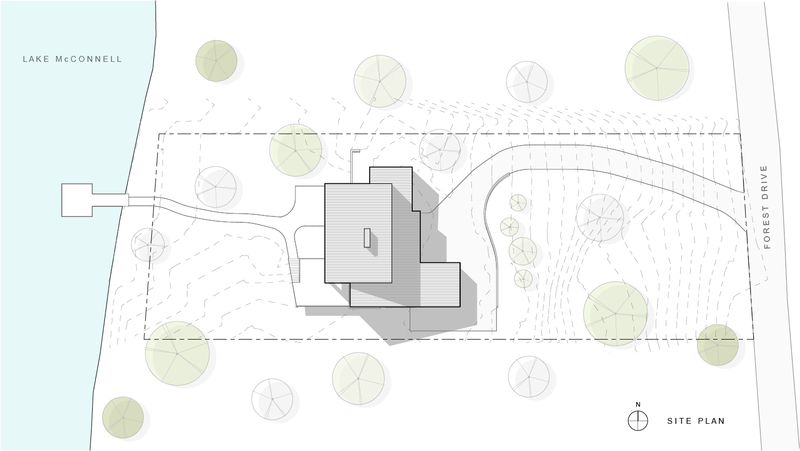 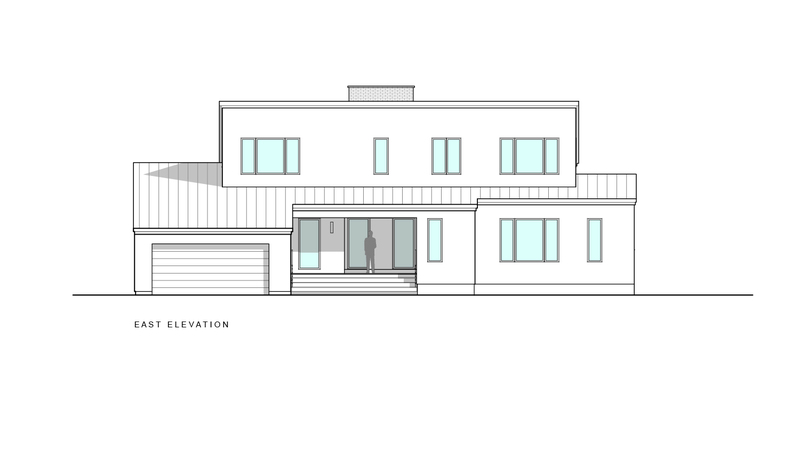 The side setbacks and slope dictated creating two simple forms that meet at the slope allowing the entry side to appear modest in scale while enabling an elevated first floor to overlook the lake with a walk-out lower level serving as entertainment space. 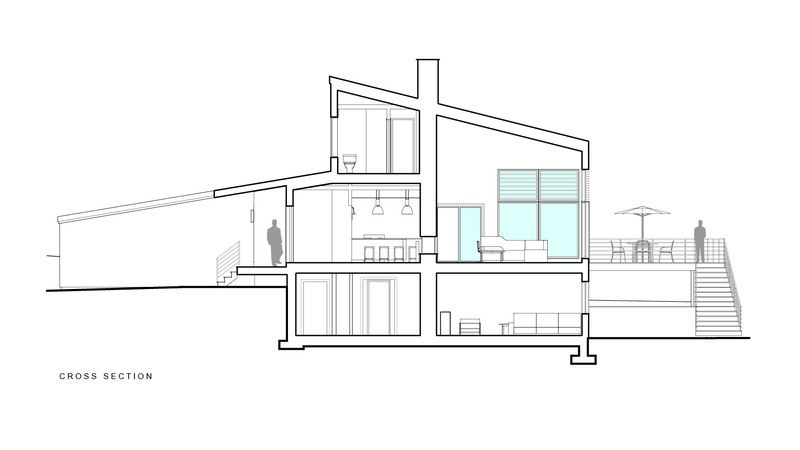 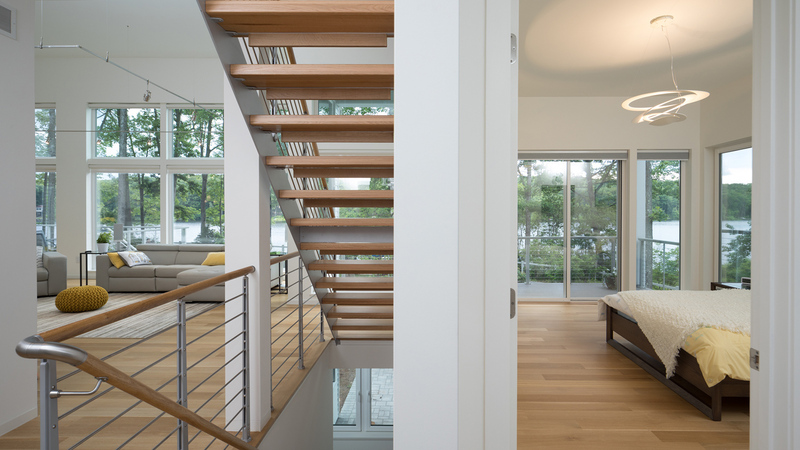 The two forms overlap to create a spacious and open two story interior with a central chimney element and an elegant steel and wood stair to the second floor. 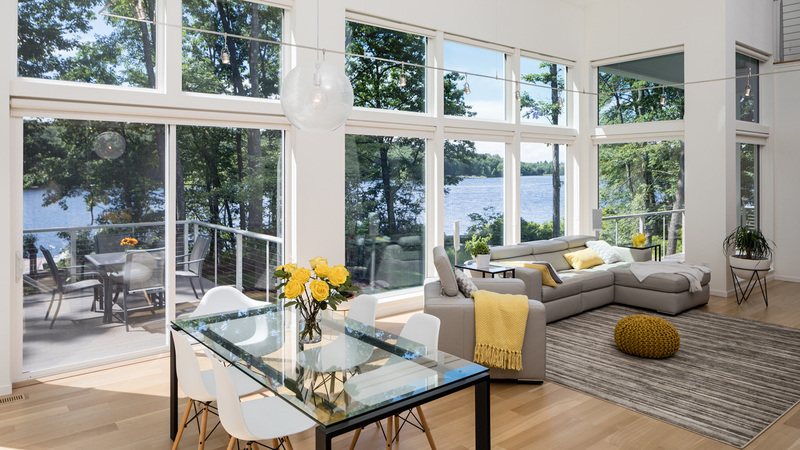 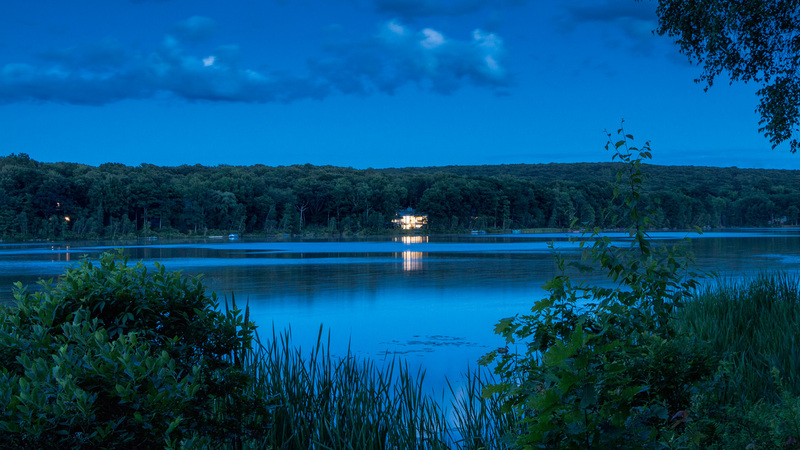 The first floor includes an open kitchen, dining, and living space with panoramic views of the lake, master bedroom suite with private deck. 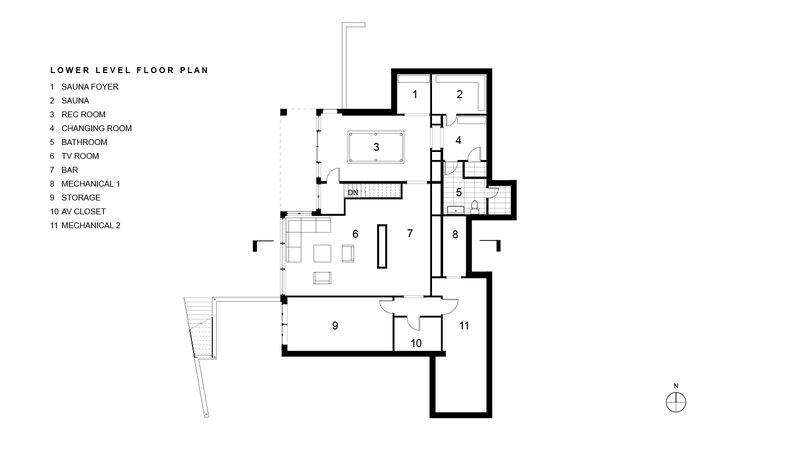 The second floor includes guest rooms, bath, and loft. 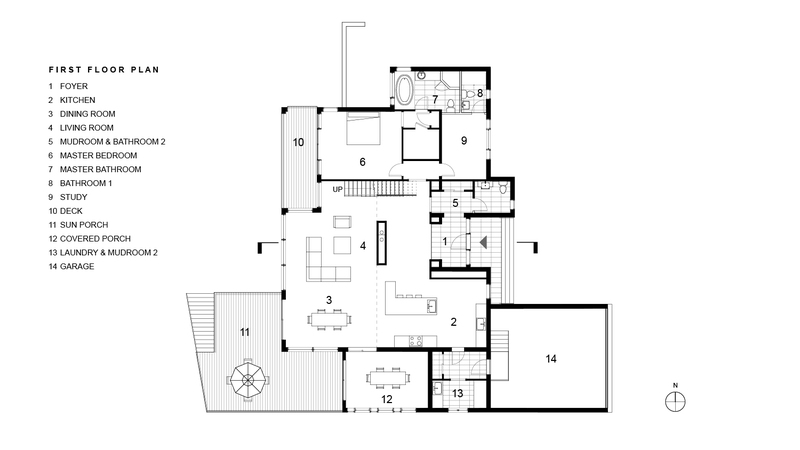 The lower level includes guest space, den, kitchenette, pool table, sauna, storage, and mechanicals. 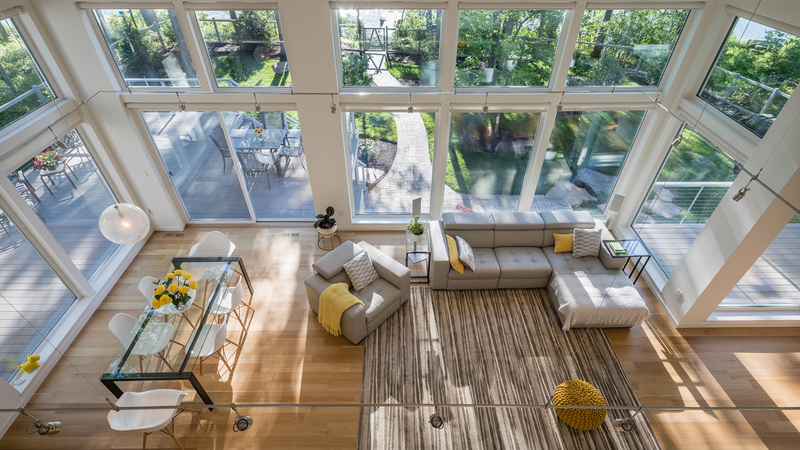 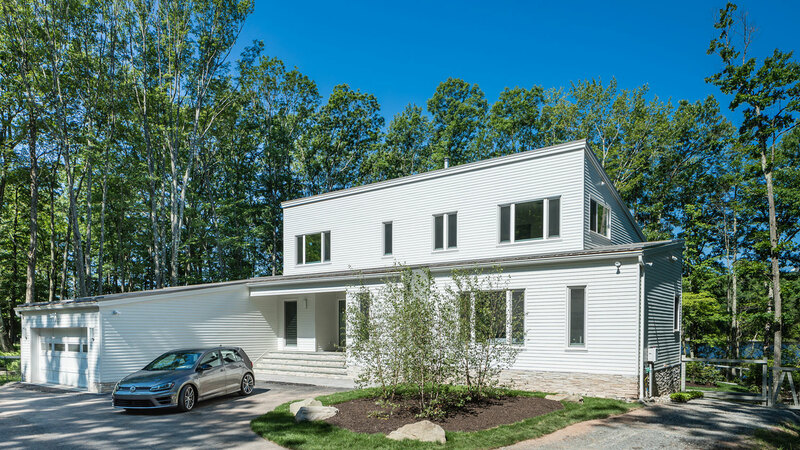 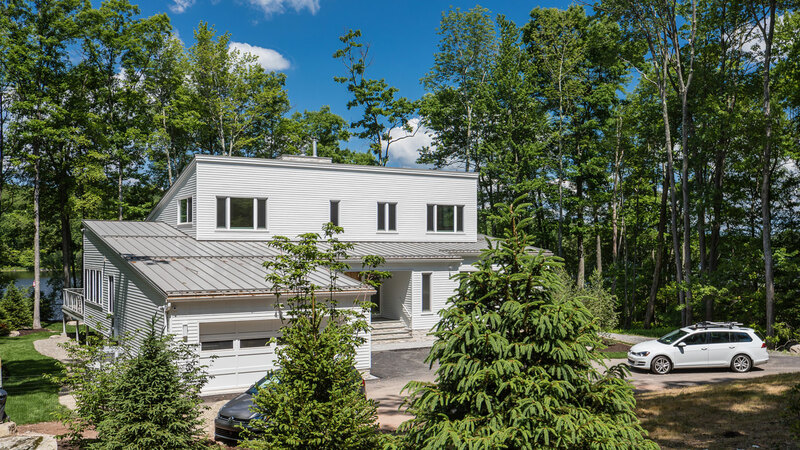 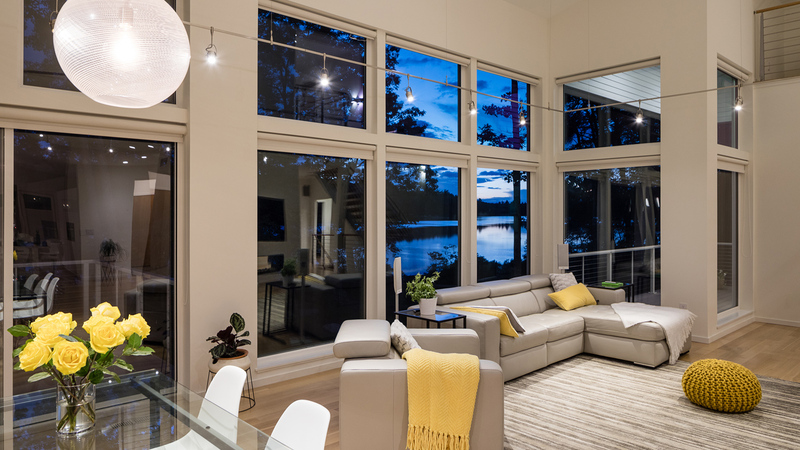 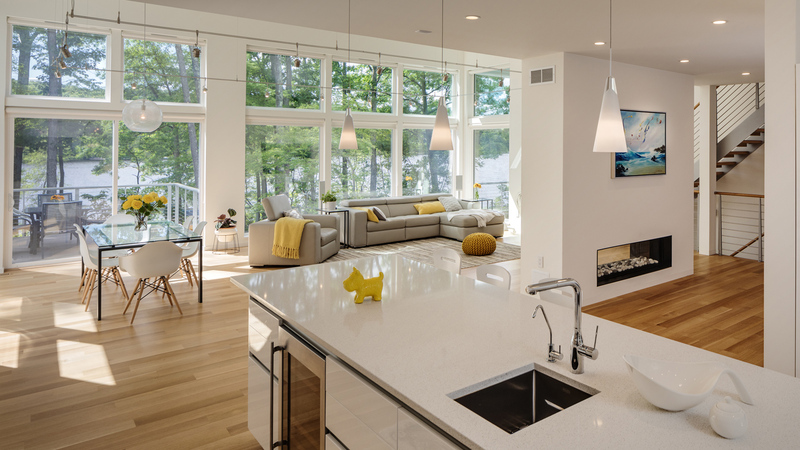 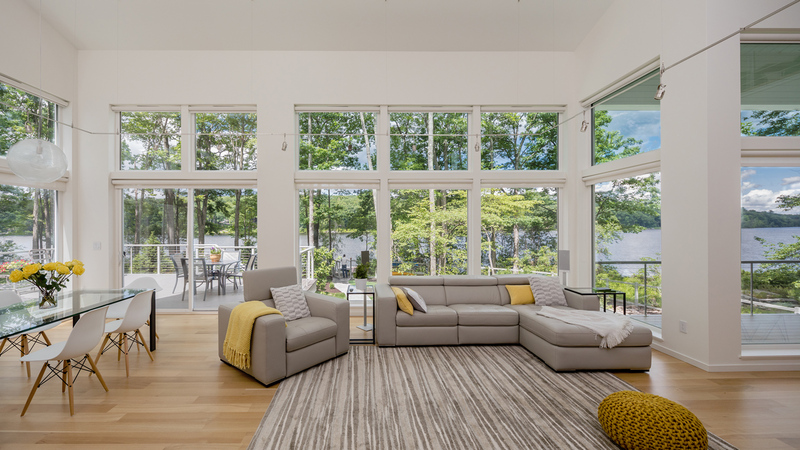 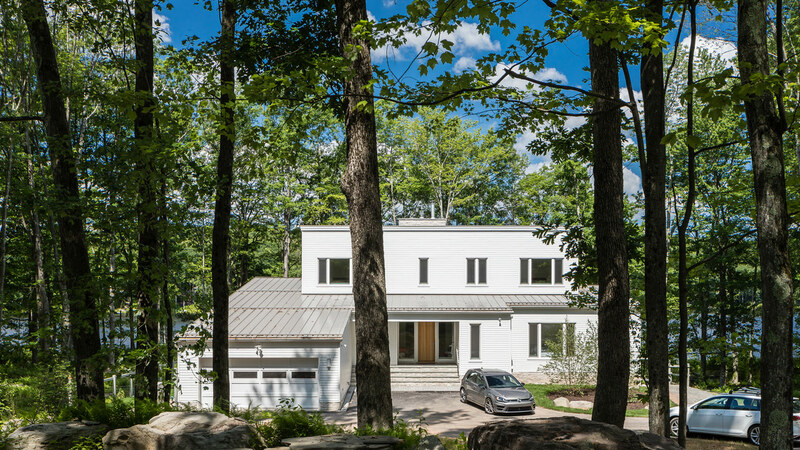 Passive House principles were used in the design and engineering including super insulated walls, triple pane windows, airtight construction, and balanced ventilation with heat recovery.